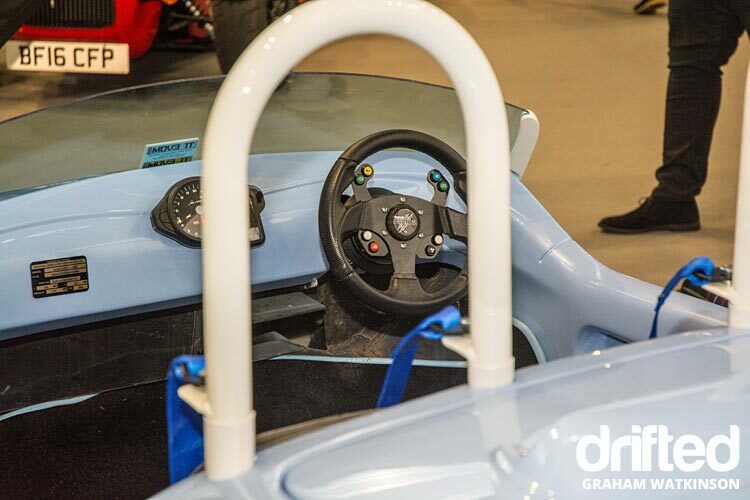 Autosport International, setting the standard for the UK and beyond. 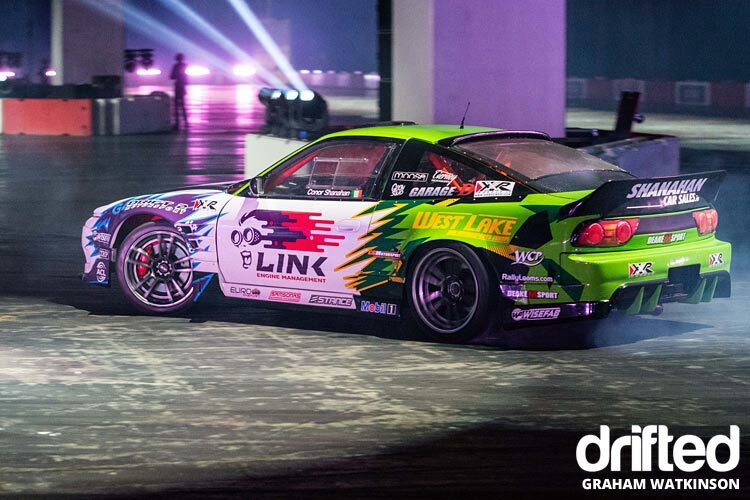 Four days in Birmingham, the National Exhibition Centre, the venue for round three of the 2017 British Drift Championship, is the meeting point for a truly international gathering of motorsport enthusiasts, drivers, team managers and all alike. Take four immense halls, throw in a lot of like minded individuals, simmer for four days and at the end you`ll have either a great deal of prospects, champions or the ingredients to generate the next batch of hopefuls. So, lets take 95,000 fans and spread the across the whole event, throw in some named championship drivers, launch a few world series and open the whole thing with Nigel Mansell CBE. 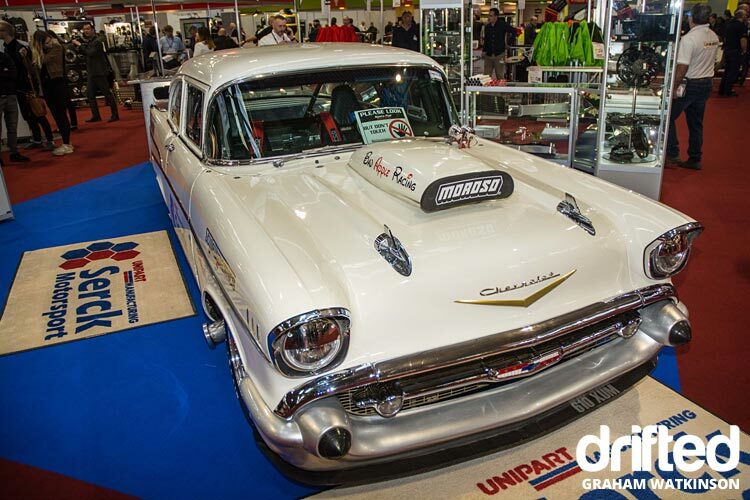 The halls were packed to the rafters with a whole range of competitive motorsports, from the simple to the down right expensive. 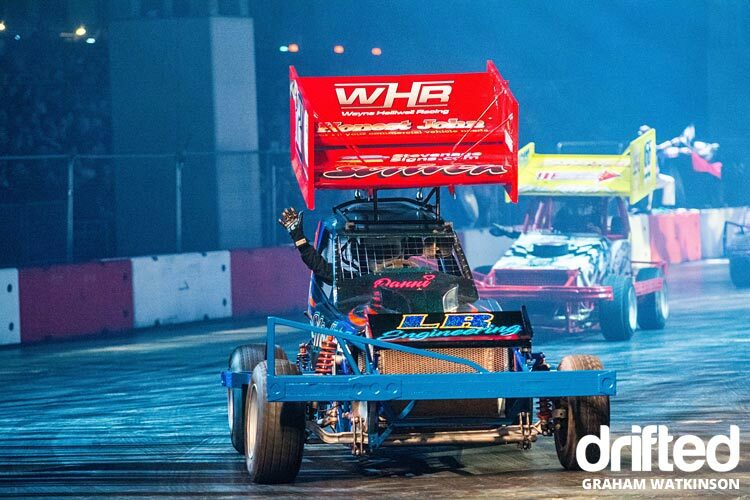 This show is renowned for leading the way in new and exciting ventures into racing in general. 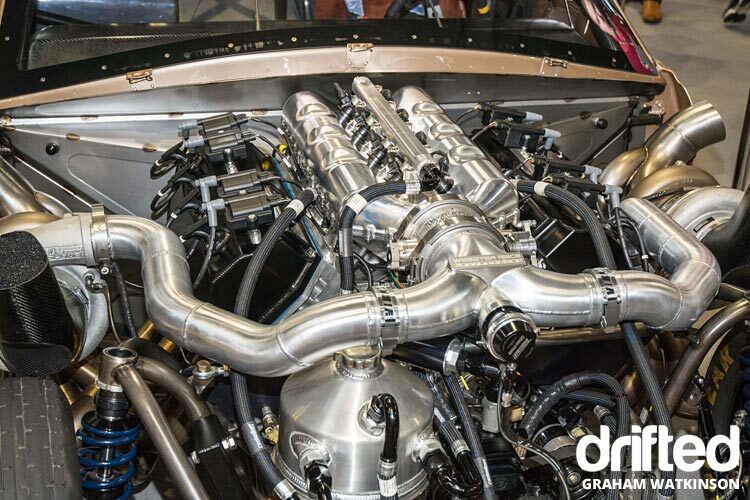 It is the place to be and be seen in order to capture the years plans whether it be drivers, cars, competitions or engineering. 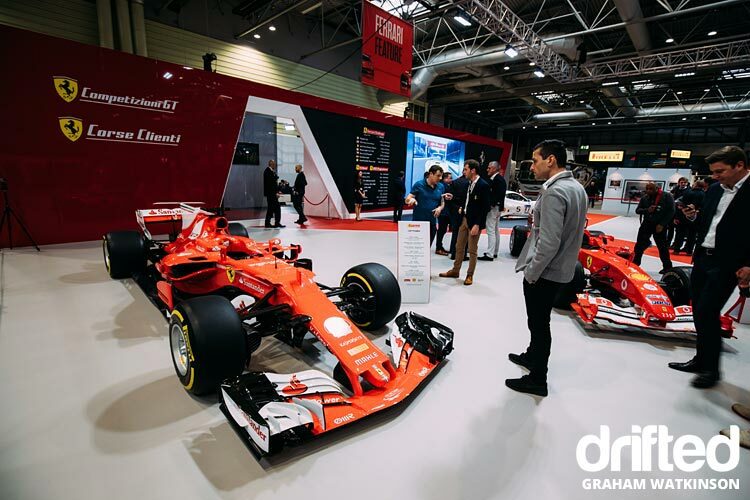 The crowds flocked to see the main Ferrari feature showcasing the Corse Client – Ferraris exclusive client racing program. 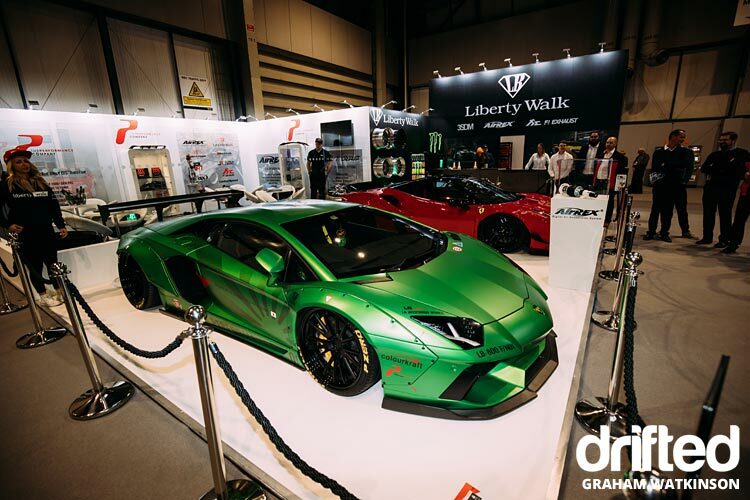 Their stand carried an extensive line-up of very special Ferrari competition cars, the 2017 F1 car, the SF70H, the 2004 championship winning F2004, the 2017 LMGTE Pro Endurance winning car the AF Corse 488GTE and the FXX-K Evo. 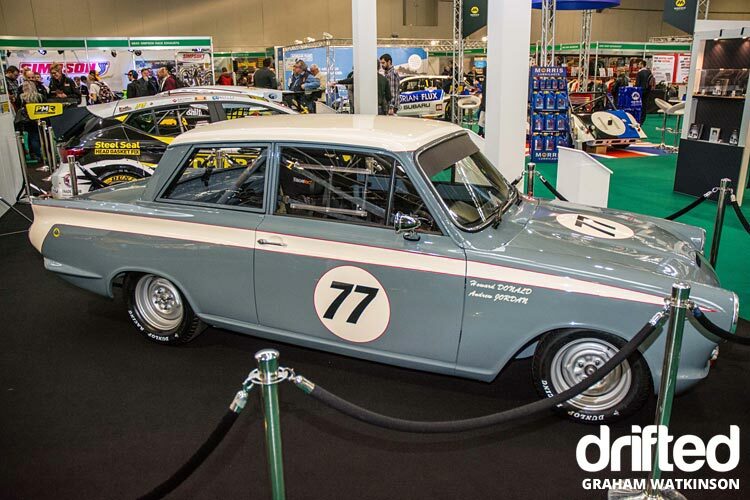 Day one saw the first ever launch of a top-tier FIA World Championship at the show in its twenty-seven-year history. 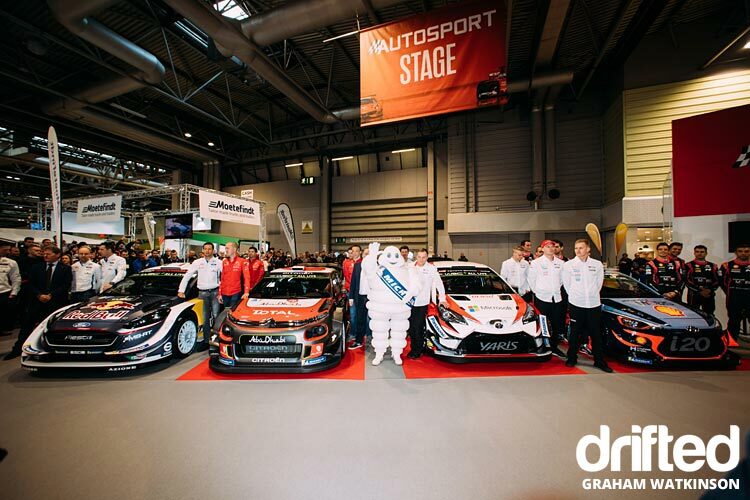 The fans were treated to the unveiling of four new 2018 season World Rally Championship cars, the M-Sport Ford Fiesta, the Hyundai i20 Coupe, the Toyota Gazoo Racing Yaris and the Citreon Racing C3. 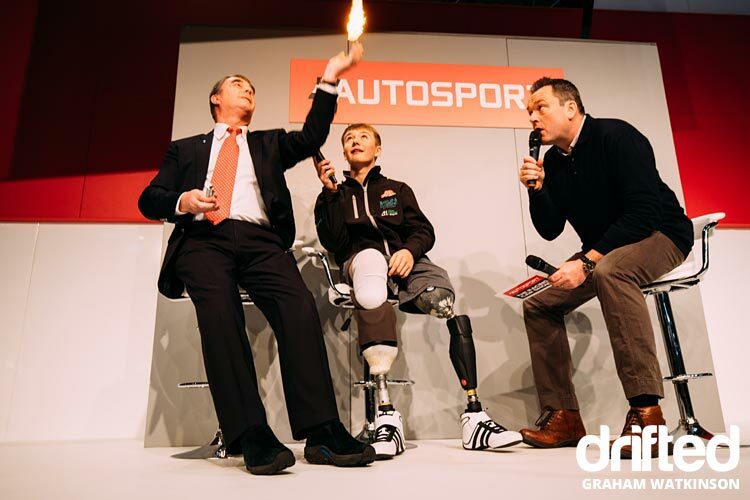 F1 world champion (1992) and IndyCar Cart champion (1993) Nigel Mansell CBE was joined on stage on the Saturday by Billy Monger for a special appearance. Billy, for those outside the UK, is a recently disabled F4 British Championship driver, who was involved in a high-speed crash at the Donnington race and as a result he had the lower part of both legs amputated. Mansell expressed his admiration for Billy and remarked that during his time at Ferrari he was called Il Leone, the lionheart but now he believed that Billy is the young lionheart. 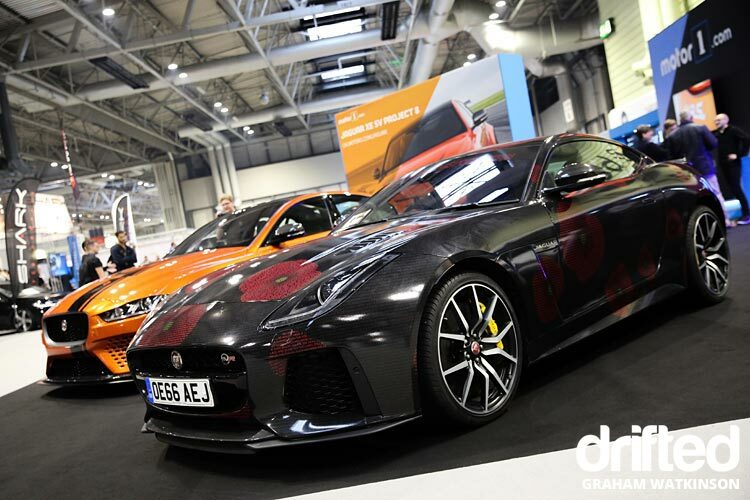 Billy joined forces with Terry Grant, a racer turned stunt driver, and a military based charity called Mission Motorsport to wow the crowds in the Live Action Arena in a specially adapted fleet of jaguar F Types. 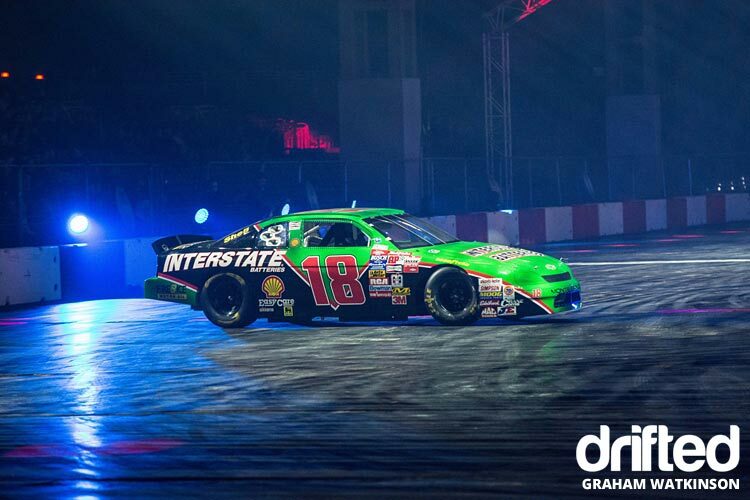 The Live Action Arena line-up also saw 2000 NASCAR Winston Cup series champion Bobby Labonte along with drifting champions James Deane and Conor Shanahan lead a cast of Rallycross oval racing and Ginetta drivers to show their competitive racing skills under the lights in high impact adrenaline fuelled arena. Gil de Ferran, Champ car series winner in 200 and 2001 and the 2003 Indy 500 also took to the stage to describe his 2017 coaching with Fernando Alonso when the McLaren-Honda driver decided to compete in the Indy 500. 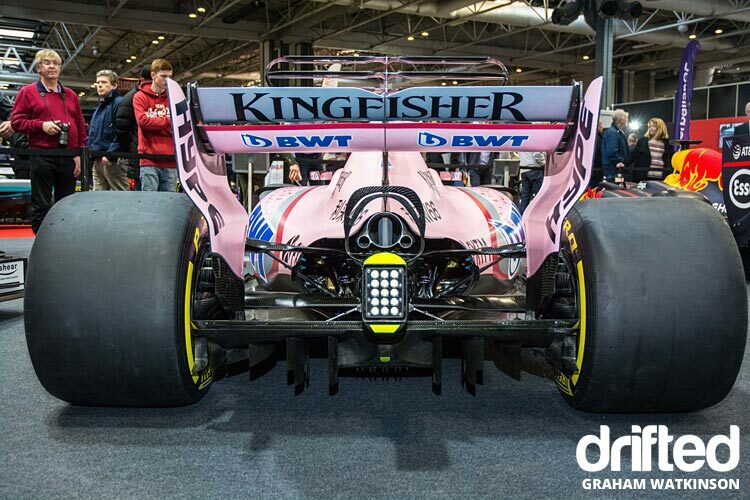 Also, former Wiliams Martini Racing F1 test driver Susie Wolff spoke about her impact on inspiring women to get into motorsport through Dare to Be Different which was launched two years ago at this very show. 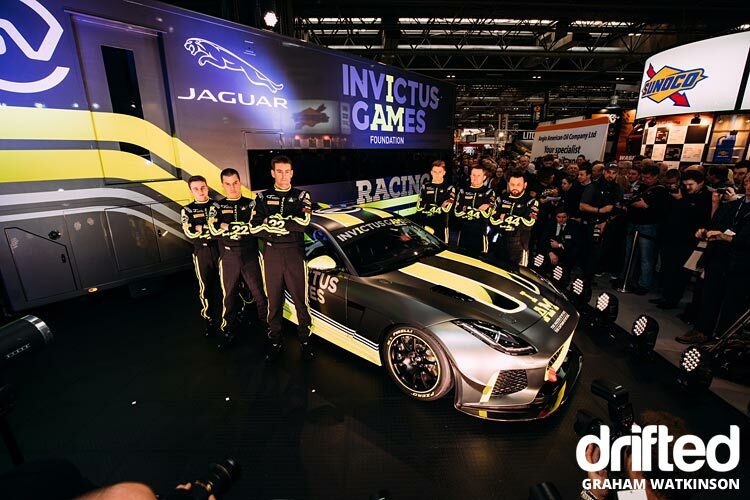 Invictus Games Racing, a UK based racing team joined forces with James Holder, Co-founder of Superdry to reveal their adventure into the 2018 British GT Championship with a specially designed Jaguar sports car. 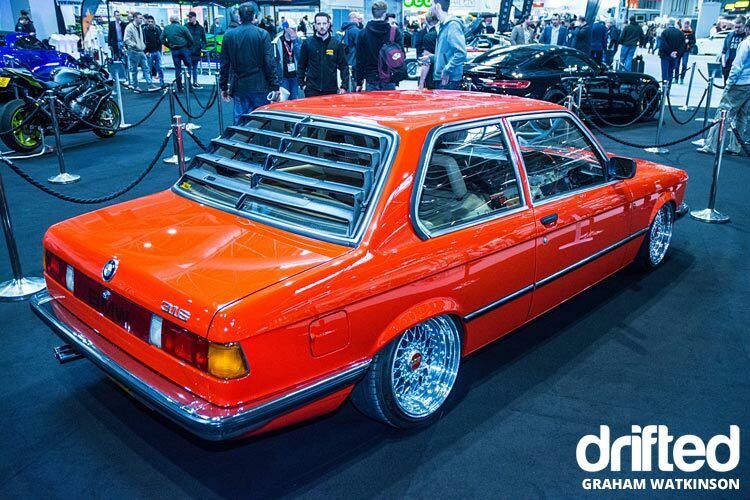 The final area was the Performance Car Show boasting a veritable visual feast of high performance machinery. There were UK debuts for the VW Golf GTI TCR, a 345bhp comp version of the road car, the newly facelifted Ford Fiesta ST and completed by the Jaguar XESV Project 8, the fastest four door saloon to ever lap the Nurburgring. 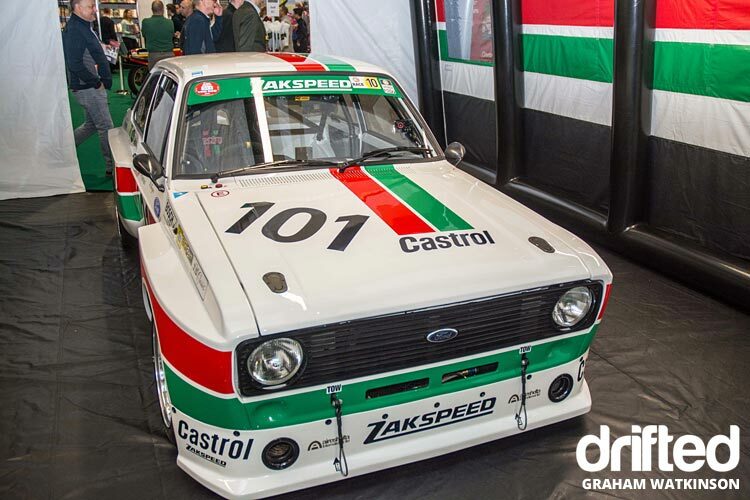 The British Drift Championship and Irish Drift Championship were on hand to reveal their race dates for 2018. Five rounds in each series across the UK and Ireland, to test the old guard and the new recruits. 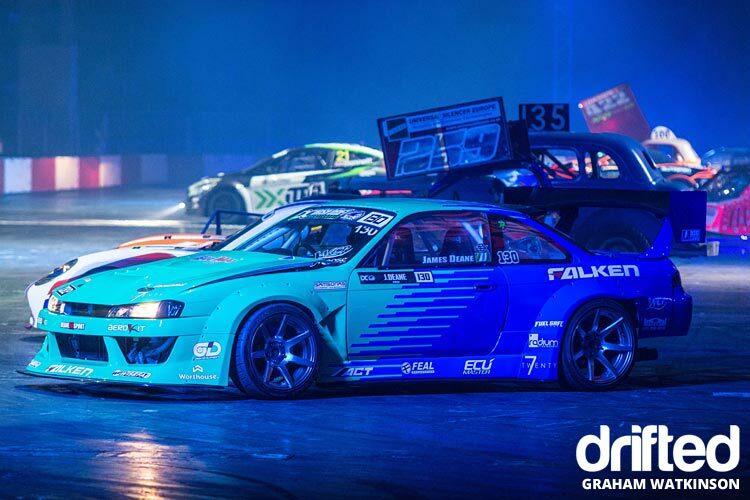 The BDC encorporates one new track and return visits to Rockingham, Teesside and Driftland in Scotland. 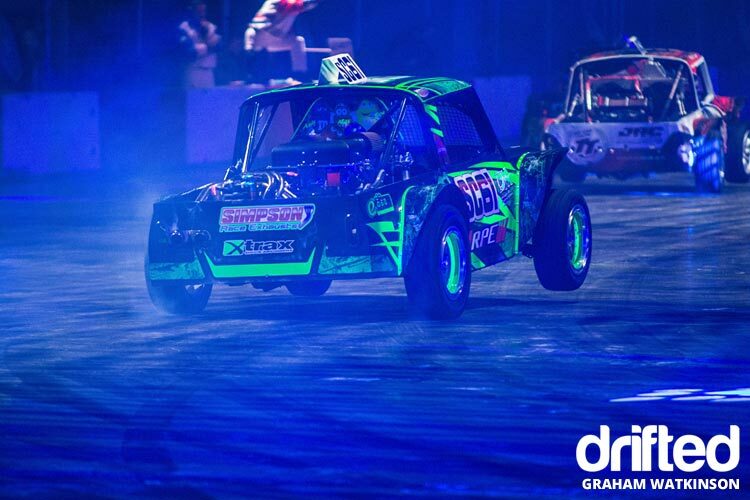 Two Championships, five countries, one event, one winner!